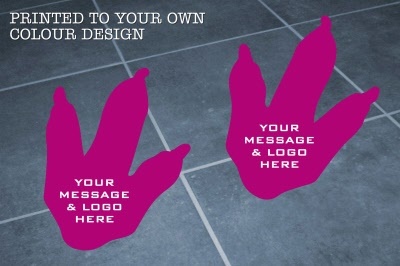 Indoor Floor Sticker, printed and cut to a Small Dinosaur Footprint Shape. Add your own text, image or logo for FREE. Artwork requested via email once the order has been placed.